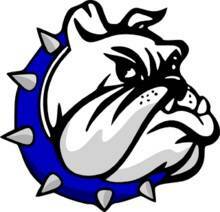 CRESTLINE — Back on Tuesday, December 4, the Crestline Lady Bulldogs played host to the visiting Hillsdale Lady Falcons in non-conference girls basketball action. Entering the contest, Crestline was searching for their first win of the early season and would achieve just that, downing their guests by a final tally of 56-35. With that win, the Lady ‘Dogs improve to 1-3 overall. Crestline took control from the early going, outscoring their opponent 12-7 in the first quarter and followed suit in the second, tallying 13 points to just eight from the Falcons to take a 25-15 advantage into intermission. In the second half, Hillsdale appeared poised to make a push, racking up 16 points in the third to Crestline’s 15, but still found themselves down 40-31 entering the fourth. The Lady Bulldogs made sure to put the contest away, holding Hillsdale to just four, fourth quarter points while posting 16 of their own en route to the 21-point victory. Lauryn Tadda had another big game for the home team, posting another double-double by scoring 25 points while grabbing 14 rebounds to go along with two assists and two steals. Hannah Delong would also finish in double figures, scoring 14 points while pulling in three rebounds, dishing an assist, recording a block and swiping three steals. Other statistics for the ‘Dogs in the win were: Team- 10/18 free throws, 20/47 from the interior, 2/7 from the perimeter, 22/54 total field goals (41%), 42 total rebounds (15O, 27D), 12 assists, 11 steals, 3 blocks and 25 turnovers; Alandra Tesso- 5 points, 5 rebounds, 1 assist, 1 block; Kennedy Moore- 4 points, 5 rebounds, 1 assist, 1 block; Daija Sewell- 4 points, 6 rebounds, 5 assists, 2 steals; Bri Briggs- 2 points, 7 rebounds, 1 assist, 3 steals; Destiny Hoskinson- 2 points, 1 rebound and Desi Naveja- 1 rebound. Crestline is set to open Mid-Buckeye Conference play on Saturday, December 8 when they host the Lady Spartans from St. Peter’s. On Tuesday, December 11, they will be on the road at Bucyrus for a non-conference clash with the hosting Lady Redmen.